We have made great progress since we began and now the senate bills to remove the HPV vaccine mandate will be heard in committee in the senate lounge tomorrow March 31st. We will gather together to support the bills being heard by the senate committee and to support all the efforts by the legislators that have co signed bills to help bring us to this point. We will show the general assembly that this issue is important. That there needs to be a point to draw the line, and stop the over reach of power by the RI Dept of Health. Teens are encouraged to come with you, this directly effects them. Gather your friends and neighbors. Car pool etc. In August the Rally was close to 100 people in Cumberland, bring that in together at the state house tomorrow March 31st. Showing up is a BIG part of this process but we know that not everyone can be at the statehouse. Call /email the committee members above right now and state your support of these bills. Write a testimony (can be just two paragraphs does not have to be tons of details &include bill #s) and bring with you 12 copies to hand in at the hearing. This is requested but not required. The hearing will begin about 4:30p on the second floor in the senate lounge. The Facebook event was created so that you may invite your friends via social media. You can also share this email message via social media or by forwarding the email. Have you seen the hype yet? VaxXed? VaxXed is a documentary about the CDC cover-up and fraud of Merck. #CDCwhistleblower came out in 2014 about lies and destruction of documents in the CDC. William Thompson kept copies himself and later came out as the whistleblower to the deception in that dept. This documentary does not discuss specifically about the HPV Vaccine Gardasil. Why is it relevant to this discussion and movement? Gardasil is made by Merck the same pharmaceutical company that is involved in this film. The Center for Disease Control (CDC) is where RI Dept of Health sites all their sources for data in choices with vaccine mandates for RI. Merck is one of the top vaccine manufacturers and all state health departments follow what the CDC states. If there is documented fraud in both we should all know about it and determine our personal level of trust from those organizations. Merck also made Vioxx that was the largest drug recall, so they are not new to being dishonest. You can have your chance for one week in New York if you want to make the drive. Vaxxed: From Cover-Up to Catastrophe will be shown starting this Friday for one week. Future locations will be released. The other part of this news — once the original location and announcement was made for the film; it was censored and many tried to get the film shut down. It shows a glimpse of when there is truth and transparency that the people should know about, main stream media is silent and the big organizations will drop money to keep their secret. Main stream media is controlled by the assigning editors not the reporters. We need to ask ourselves why does the media ignore things directly relevant to the CDC or pharmaceutical companies when there is evidence they weren’t honest. When any other major manufacturer (like for a vehicle) messes up, it is all over the news ‘for our safety’, why is disease control dishonesty not news worthy ‘for our safety’ also? RI citizens will be gathering together to support the senate bills S2292 & S2295 that will remove the HPV vaccine mandate from the school schedule of vaccinations for admittance to school. These bills will also require the RI Dept. of Health to hold public hearings prior to mandating any future vaccines for school students. Both bills will be heard on Mar 31st by the senate Health and Human Services Committee at the rise of the senate, in the senate lounge on 2nd floor. #NOHPVmandateRI strongly recommends that any parent uncomfortable with this vaccine for their children should claim a ‘religious exemption’, which can be executed via a simple form that can be downloaded from the files section of nohpvmandateri.wordpress.com. Senate bills S2292 and S2295 will be heard by the senate committee that evening around 4:30p the hearing will begin. The senate bills REMOVE the HPV vaccine from the mandated school schedule of vaccines for inclusion of students to public and private school. It also requires the RI Dept of Health to hold three public hearings/meetings before mandating any future vaccines. This is a GREAT step forward in what we have been working towards. WE NEED BODIES TO SHOW UP INCLUDING TEENS. We can not stress enough that even if you choose not to speak, that showing up at the statehouse sends a strong message. Bring your signs and your message, we will be heard. Let’s Do This! If you are on Facebook, here is the event link. The public hearings will be a speed bump for the RI DOH, as when they had their meetings last summer and we made A LOT of noise they changed nothing. The terminology of this bill does not hold them accountable if the public does give push back and does not want the mandate, what they are then required to do. It simply states hearings, so they may still do as they wish. WRITE/CALL/SPEAK to your committee members that this should be amended to remove the authority of the RI DOH to make the final decision, but that you support they have public hearings. Share this info everywhere, via social media, via email, via calling your friends. The time is NOW to show up, stand up, and speak up. Last week was the house hearing for the bills H7475 & H7476. Both bills were held for further study and both bills had public support. We thank those that came out to the statehouse. You can watch the hearing recording here at the state website. Under 3/16/16 for the Health Education and Welfare committee. Some devices it starts at 88:51 and some it seems to register to begin at 122:00. It’s not too late to sign the petition against the mandate. We have the ability to offer you a one week ability to help support Rhode Islanders against mandated HPV vaccinations without just simply giving us a donation. (though we are still accepting straight donations here) Many supporters of this cause have also shared with us that they support health options and healthy ways of life. DoTerra is a product line that offers essential oils, skin care, supplements, lotions, and more. From now until April 2nd all orders placed for these products through this link; 15% of the purchase will be donated to our group. We are not endorsing these products, or stating they are superior to others, we are offering a way to help the group with items you may wish to purchase anyway. Also on March 31st in the Health and Human services committee will hear bill S2050 in relation to Naturopathic Physicians Act. Which is an alternative health option. Don’t forget Sunday the 27th is the last day to register to vote for the presidential primaries, and you must be registered to vote for your local state representatives and senators also. Enjoy your holiday weekend with family and friends, and we are here to help with questions or support. The online discussion group with our Director Aimee is located at this link. 5 bills currently have been introduced that align with what we as a group have been advocating for. We might have news soon of a 6th bill we are working towards. What does all this mean? Does it seem like a lot to keep track of? Are you overwhelmed? First, please do not be overwhelmed. The five bills will be heard by two committees. One in the house and one in the senate. So there will be two hearings. Keeping track can be done by registering with the bill tracker service through the state website that will send you emails. For the purpose of the bills associated to what this group advocates for we will be sending emails and updating the FB page also. Email the committee members for the two committees in regards to supporting the bills and be sure to include your contact information in the email. Show Up to the hearing the day it is being heard. Even if you do not speak but you show up and sign in saying you support the bill, it makes a difference. Speak up at the hearing. Prepare testimony that is 2minutes or less of time to say to the committee members. If you have been injured by this vaccine or have a family member injured by this vaccine, this is a very important step in getting the awareness out there. Schedule a time to meet your representative and/or senate member asap to sit one on one and express your points of view. This can leave a lasting impression that they resonate with and personally are impacted by. If your legislator is not a committee member hearing these bills, that is okay, you could request them to come to the hearing to support the bill or speak to their colleagues about it. Aimee will attend with you if you would like her to, she has already attended with other members of the group and will support you too. Tell all your family and friends, share the knowledge and the information. The more people that contact and show up the bigger the impact of all combined. Hang signs, share on social media etc to get the word out. These six items are the ways to make change. We hope you will do all six but understandably not everyone can. Do what you can do, each piece builds the puzzle. March 16th is when the house hearings will take place. H7475, H7476 – This is the ‘rise of the house’ so you should get there by 4:15p. Bring teenagers and have them speak too. You can submit testimony even if you will be out of state, email changehpvmandateri@gmail.com and we will be sure to submit it. March 19th Advocacy Training Workshop 10:30am in West Greenwich, this will be after the house committee hearing but before the senate committee hearing. This workshop is to help our movement but also for everyone to speak up about whatever issue speaks to them. March 20th 1:30 pm in Middletown at Middletown Library will be second day of Advocacy Training Workshop. Be prepared for a hearing to take place March 22/23/ or 24 – we don’t know which day yet but there is a high chance one of those days S2292 & S2295 will be heard by the senate committee. Health, Education, and Welfare committee. is the committee that will hear the house bills. Health and Human Services committee. is the committee that will hear the senate bills. Join Us in this fight today. how you can make your voice heard in Rhode Island. learn how important civil liberties legislation is; how to reach your legislators; and how to testify before committees. You can help make Rhode Island a better place for your family, friends, and neighbors! Your voice is important. Learn how to use it. Teens too! 13+ should attend. Bring the teens to learn how to be involved in what effects their lives too. This event is for anyone supporting or against any bill. Maybe you don’t have a piece of legislation that strikes you yet, but you want to know more about the process and what to do. Aimee Gardiner has attended advocacy training from the RI ACLU and has experience as a main leader in advocating legislation proposal and advocating for change. If you have testimony you have already written bring it with you. If you have questions or ideas, bring the list with you. Let’s work together and share and prepare for speaking up at the statehouse and to our representatives/senators. REGISTER TO VOTE ~ you have to be registered to vote for your representatives and help create change. You will be able to register to vote during this event. Share this event, invite your friends. Please register by emailing aimeeg@activist.com with your full name and that you would like to attend the workshop. You can also go directly to the library and sign up via the sheet at the desk. On Facebook? Here is the 19th FB event page you can invite and add friends also. 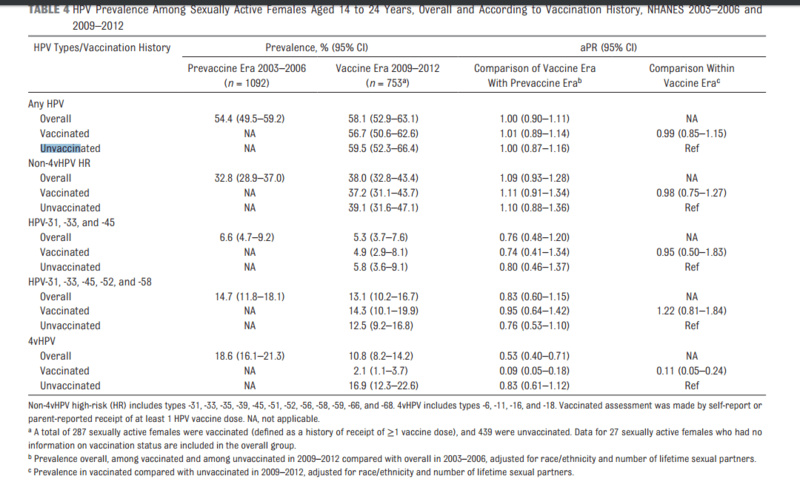 HPV Vaccine – What does the science say? In this interview the HPV vaccine and HPV is discussed in regards to the studies and the data. RI HPV Info pack is available to RI citizens for personal reference and to share. Please share this post, the public needs to be aware of the ties that exist.